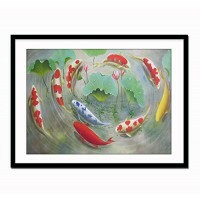 "No Need To Be Koi Roy" is a poster print of a handmade painting by Shannon Foley Henn.Custom painted pieces also available upon request.Size:16x32inchx3PanelFeature:More than 28000 kinds of wall art ..
(24x36) Delight of Life Underwater Scene Art Print Posterdecorate your walls with this brand new postereasy to frame and makes a great gift tooships quickly and safely in a sturdy protective tubemeasu.. 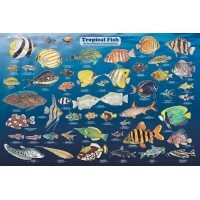 This poster shows many of the most interesting and colorful species. 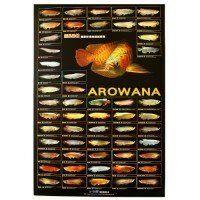 All are identified by both common and scientific name. Captions cite order, family, size and where they live. 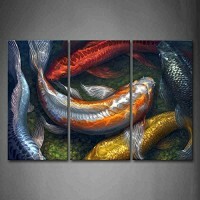 Our high quality 5 m..
Nice wall hanging Asian scroll with colorful koi fish in pond with asian characters .12" X 30" RATTAN WALL HANGING SCROLLMakes a nice giftColorful koi fish swimming in pondcolorful and beautiful..
we will ship the paintings within 5-10 days to make sure the paintings drying enough before shipping. 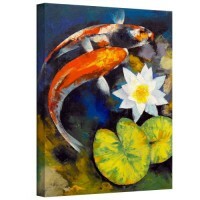 ePacket and China post air mail is our default service .Frame mode:UnframedSize 50x150 CMTechnics:..
Michael Creese 'Koi Fish and Water Lily' floater framed gallery-wrapped canvas is a high-quality canvas print example of a serene pond with its blissful fish and water lily inhabitants. 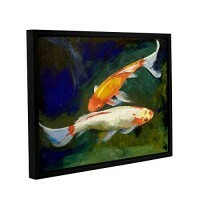 This wonderful..
Michael Creese Koi Fish and Water Lily gallery-wrapped canvas is a high-quality canvas print depicting a pair of koi fish swimming in a colorful pond with water lilies in the artists signature vibrant..
Art Wall Michael Creese's Feng Shui Koi Fish Gallery Wrapped Floater Framed Canvas, 18 by 24"
Michael Creese's Feng Shui Koi Fish, Gallery-Wrapped Floater-Framed Canvas 18X24 Michael Creese Feng Shui Koi Fish, Gallery-Wrapped Floater-Framed Canvas is a high-quality canvas print depicting a pai..
Guppy Poster.Anti UV CoatingMatte PP coatingSpot Varnish..
Plant PosterAnti UV coatingThick poster backingFull HD colors..
Arowana Poster.Anti UV CoatingMatte PP coatingSpot Varnish.. 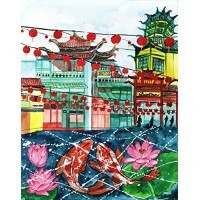 Title: Chinatown Chinese New Year Koi Fish Watercolor Painting poster print Medium: Watercolor, gold acrylic, pen & ink on watercolor paper Size: 11" x 14" This is my Chinese New Year inspired koi fis.. 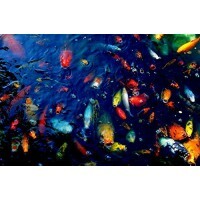 Colorful Fish by Wall Decor Prints 18x12 Art Print Poster Wall Decor Koi Fish In Pond Outdoors Rainbow Fish Photography SpringPrinted on Heavy Paper StockPacked to arrive in PERFECT conditionPaper Siz..
Don Paulson Premium Thick-Wrap Canvas Wall Art Print entitled Oregon, Portland. 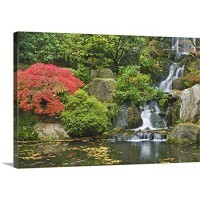 Waterfall flows into koi pond at Portland Japanese Garden 36"x24"
Our proprietary canvas provides a classic and distinctive texture. 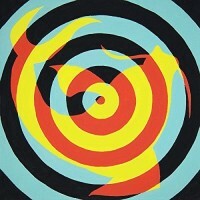 It is acid free and specially developed for our giclee print platforms. 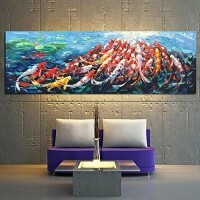 The fabric base is flexible to support tight corners. The fin.. This is a high quality poster. 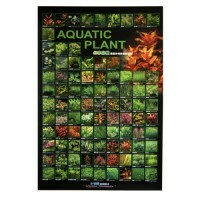 It has been printed onto quality 250gms thick Satin paper. This is made up of 8 separate paper panel sections. 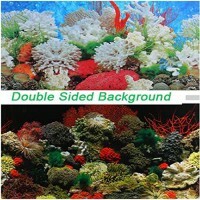 When placed together they make up the large image Size:- 1.. 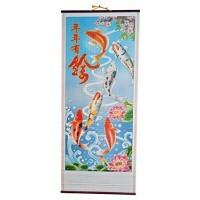 Feature: Made of foam material, non-toxic, no bad smell and absolutely no influence to the water. Can be cut to size with knife. 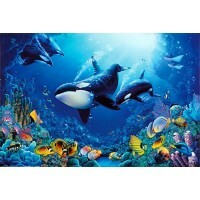 Easy to use, make your aquarium more vivd. 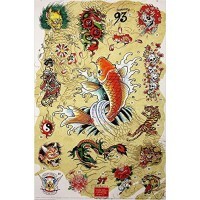 Need to install with glass t..
Ed hardy Japanese chart 36x24 tattoo art print poster roses flowers Skulls Koi fish hidden images. 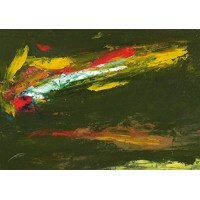 Paper size: 36x24. 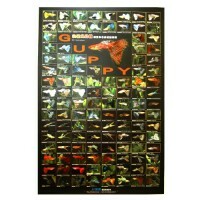 Image size: 36x24Printed on poster paperPacked to arrive in perfect conditionPaper.. 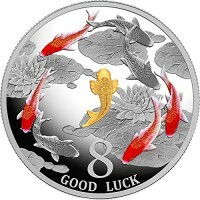 Please Note: that the display pictures are for illustration purposes only. 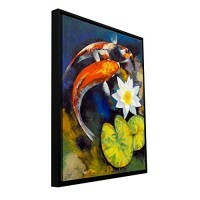 Please measure your wall properly and make sure the size is right for you.1) Black wood frame with white mat. Frame can hold .. 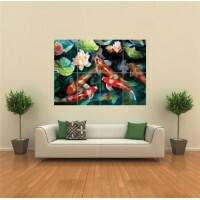 Feature:More than 28000 kinds of wall art to Meet your needs in my shop.Wall Decor:Perfect choice for wall decor such as living room, bedroom, guest room, bathroom, dinning room, meeting room, hallway..